Almond bud mite Acalitus phloeocoptes (Nalepa, 1890) - dangerous pest of fruits trees, was first discovered in Kazakhstan. In 2018, the area of planting of apricots in the Almaty oblast, contaminated by it, was about 150 hectares. Various insecticide been tested for the localization of the pest. During the tests, the highest efficiency was shown by the variants: Vertimek concentrate emulsion 1 l/ha and Omite 75 % concentrate emulsion. They were recommended to horticultural farms for processing against the pest. Agronomist's guide to plant protection. (1983). Ed. T.N. Nurmuratov, G.Kh. Shek. Alma-Ata: Kainar, 184. (In Russian). Cherkezova, S.R., Vinogradova, L.V. (2012). Four-legged mites of fruit plantations and measures to control them. Fruit growing and vineyard in the south of Russia, 14, 81-105. (In Russian). 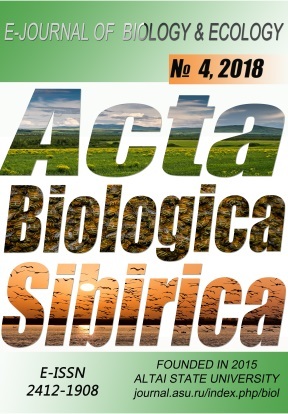 Denizhan, E. Investigation on the determination of Eriophyoidea (Acarina) species, their hosts, distribution, natural, enemies and population development of Aculus schlechtendalii (Nalepa,1892) on ornamental plants in Ankara. Ph. D. Thesis. Ankara University, 2007. - 287 p.
Denizhan, E., Monfrieda, R., de Lillo, E., Çobanoğlu, S. (2015). Eriophyoid mite fauna (Acari: Trombidiformes: Eriophyoidea) of Turkey: New species, new distribution reports and an updated catalogue. Zootaxa, 3991 (1), 63. EPPO Global Database. Acalitus phloeocoptes Published: 12.12.2017: https://gd.eppo.int/taxon/HALYHA/distribution. Garon-Labrecque, M.-È. (2017). The phytophagous and predatory mites (Acari) on Prunus (Rosaceae) in southeastern Canada. A thesis submitted to the Faculty of Graduate and Postdoctoral Affairs in partial fulfillment of the requirements for the degree of Master of Science. Department of Biology Carleton University Ottawa, Canada January 30, 135. Handbook of plant protection. (2007). Ed. A.O. Sagitov, J.D. Ismukhambetov. Almaty: Rond, 320 p. (In Russian). Kamali, H., Sirjani, M., Bazoobandi, M. (2016). Biological characteristics of almond bud mite, Acalitus phloeocoptes (Nalepa) (Acari: Eriophyoidea) in Khorasan-e-Razavi Province. Plant Pest Research, 6 (2), 63-74. (In Russian). Keifer, Hartford H., Baker, Edward W., Kono, Tokuwo, Delfinado, Mercedes, and Styer, William E. (1982). An illustrated guide to plant abnormalities caused by eriophyid mites in North America. U.S. Department of Agriculture. Agriculture Handbook, 573, 178. List of pesticides, approved for use on the territory of the Republic of Kazakhstan for 2013-2022. (2013). Astana, 151. (In Russian). Matesova, G.Ya., Mityaev, I.D., Yukhnevich, L.A. (1962). Insects and mites are pests of fruit and berry crops of Kazakhstan. Alma-Ata: Publishing House of the Academy of Sciences of the Kazakh SSR, 204. (In Russian). Methodical instruction on monitoring the number of pests, weeds and the development of diseases of agricultural crops. (2004). Astana, 267 (In Russian). Orlova-Bienkowskaja, M.Ja. (2016). Is it possible to distinguish alien species of beetles (Coleoptera) from native ones? Entomological Review, 96 (3), 318-331 DOI 10.1134/S001387381603009X. Pikushova, E.A., Antsupova, T.E., Devyatkin, A.M. (2012). Key to pests of crops on plant damage for the south of Russia. Textbook. Krasnodar, 130. Sevesku, A. (1963). Protection of plants. Album. Volume I: Pests of fruit trees, berry and grapevine. Translation from Romanian. Bucharest: Meridiane, 279. (In Russian). Vasiliev, V.P. (1987). Pests of agricultural crops and forest plantations: In 3 t. Under the general. Ed. V.P. Vasilyev. 2-nd ed., rev. and additional. T. 1. Harmful nematodes, mollusks, arthropods. K.: Urozhai, 440. (In Russian). Vasilyev, V.P., Livshits, I.Z. (1984). Pests of fruit crops. Moscow: Kolos, 399. (In Russian). Velikan, V.S. (1984). Key to harmful and useful insects and mites on fruit and berry crops in the USSR. Veikan, A.M. Gegechkori, V.B. Golub, L.M. Kopaneva (Ed.). Leningrad, Kolos, Leningrad branch, 288. (In Russian). Zakhvatkin, A.A. (1949). Class Arachnids. Pests of fruit and berry crops and grapes. In book: Harmful animals of Central Asia. Ed. E.N. Pavlovsky. Moscow-Leningrad, Publishing House of the USSR Academy of Sciences, 249-250. (In Russian).